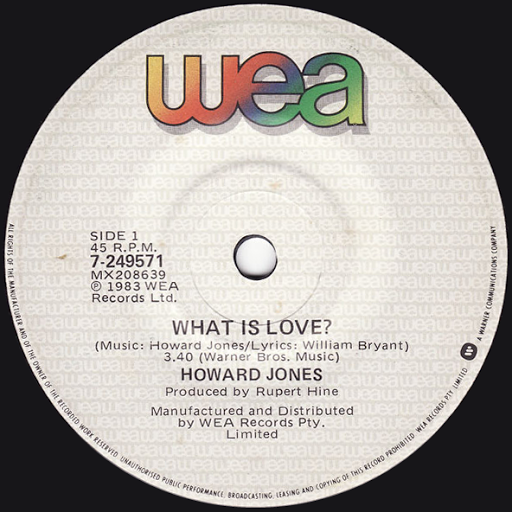 Song of the day: Howard Jones – "What Is Love?" I have mentioned a few times on this blog that I consider the music of the 1980s to be a blight on Western culture. It’s my least favourite musical decade of any decade throughout history that has ever produced music. However, there are a few exceptions, and today’s song is one of them. Loved it then. Love it now. By the way, while I’m in this songs-of-the-’80s-I-really-liked mood I think I’ll play you another one tomorrow. You are currently browsing the archives for the Howard Jones category.